How to rip Blu-ray with full menus and special features? "I have a very large collection of DVDs and Blu-ray discs. I am trying to rip them into a portable hard drive. I want keep the menus, special features and extras. But I can't figure out what software will do all of those things." What is Blu-ray special features/menus/extras? Blu-ray special features are any additional audio, visual or interactive media that exist beyond the original version of a film on a Blu-ray. These features may be items such as extended versions, director's cuts of the film, audio commentaries, behind-the-scenes featurettes, documentaries, production stills, cast and crew bios, alternate endings, animatics, interactive games... the list goes on and on. How to keep Blu-ray special features/menus/extras? For those people who wish to preserve Blu-ray special features/menus/extras during the ripping process, you can either backup Blu-ray to ISO image or create a complete BD folder from the original Blu-ray disc. The following part will illustrate those 2 solutions with great details one by one. An ISO image is a disk image of an optical disc. It is an archive file that contains everything that would be written to an optical disc, sector by sector, including the optical disc file system. To create an ISO image file, what you need is a Blu-ray drive, Blu-ray Ripper and Blu-ray ISO creator software. Here, you can use a Blu-ray copy software such as Pavtube ByteCopy to copy Blu-ray copy Blu-ray structure (a BDMV and a CERTIFICATE directory) to hard drive and then use the freeware ImgBurn to create BD ISO image from Blu-ray directories. This option is much faster than making a disc-to-disc copy since it skips the step of extracting the ISO file from the disc, which is the most time-consuming part of the process. However, the generated ISO files are that that compatible, there are hardly any player can play the ISO files. When you choose this method, what you need to do is make a 1:1 full disc copy of original Blu-ray structure without any quality loss while preserve all your extras including audio commentary, documentary, extended deleted scenes, interviews and also subtitle languages, subtitle tracks, chapter information, com. 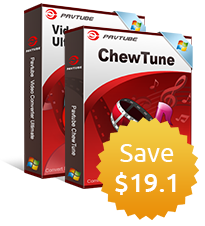 Here, you can easily completed the job by downloading Pavtube ByteCopy. Which can assist you to save your original Blu-ray disc as an BDMV folder with all the special features, bouns content and extras well preserved. The copied BDMV folder can be freely viewed with various media players such as VLC media player, 5K Player, FreeSmith Video Player, etc. How to Copy Blu-ray to BD folder with Special Features/Bonus Contents/Extras? Step 1: Load Blu-ray disc to the program. Run the program, insert your Blu-ray disc into an external Blu-ray drive, click "File" > "Load from disc" to import Blu-ray disc movie to the program. Step 2: Full disc copy of Blu-ray disc. On the main top tool bar of the interface, click button to copy the entire Blu-ray disc with all your unwanted features and extras. Step 3: Start the full disc copying process. Click the "OK" option in the popped out window, then the full Blu-ray disc copying process will start automatically. When the copying process is completed, you will get an BDMV folder with all your unwanted bonus content. Make Blu-ray ISO files from my Blu-ray movie?